Spending a quick moment with Amie Zimon and Rob Tubajon before we get the party started. These two made it possible for me to spend a week DJing for Lululemon employees in Vancouver. As I arrived in Vancouver for the second time in less than 50 days last week, I had this overwhelming sense of familiarity. I had that feeling we sometimes get seeing a friend whom we may not see that often, but within a few moments, it’s as though no time has passed. 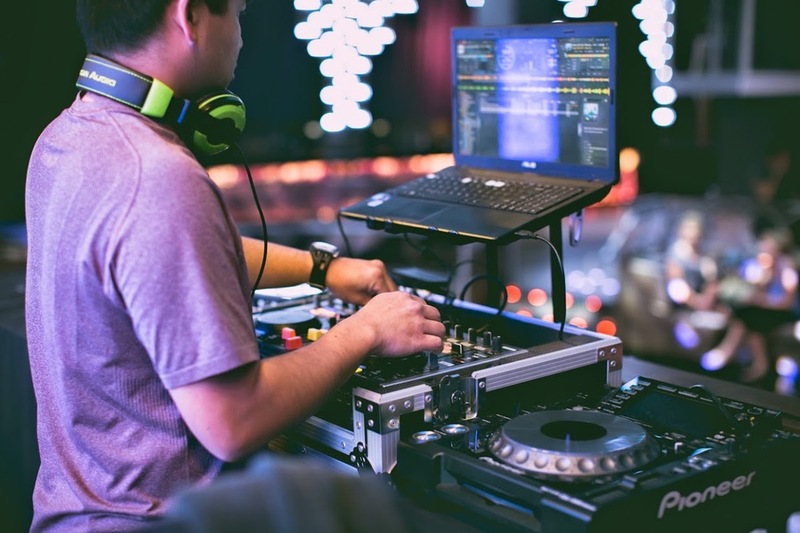 I was there to DJ various events over the course of three days, for Lululemon Athletica, one of the world’s most recognized brands, and for an audience of nearly 1,000 people from all over the world. Here I was outside, of my hometown, anticipating having to DJ in front of a large crowd, using a borrowed DJ set-up that wasn’t my “normal” gear and for a high-profile client. During my journey, I kept thinking about all the things that could go wrong. Will my hard drives of music crash; or erase while going through TSA? Will my computer suddenly decide to not work? Will the equipment I’m using fail? Will I play the right music? Will I be successful, and how will I even measure this? In the past, all of these things would give me a mild case of anxiety. But the moment I arrived in that city, met with my contacts and the audio visual team (and confirmed my computer and hard dives safely made the trip), I had an overwhelming sense of calm. Maybe it’s a Canadian thing (they really are nice people). Maybe the task at hand wasn't so hard after all (more on this later). But then, maybe it’s a Lululemon thing. In the article I wrote back in August, I had attributed this company for being a catalyst in aiding me to make some bold life decisions. This was after interactions with store employees -- educators and key leaders they call themselves -- I met at different San Diego community workout and running groups. But last week I had the opportunity to be around the company’s top leaders. 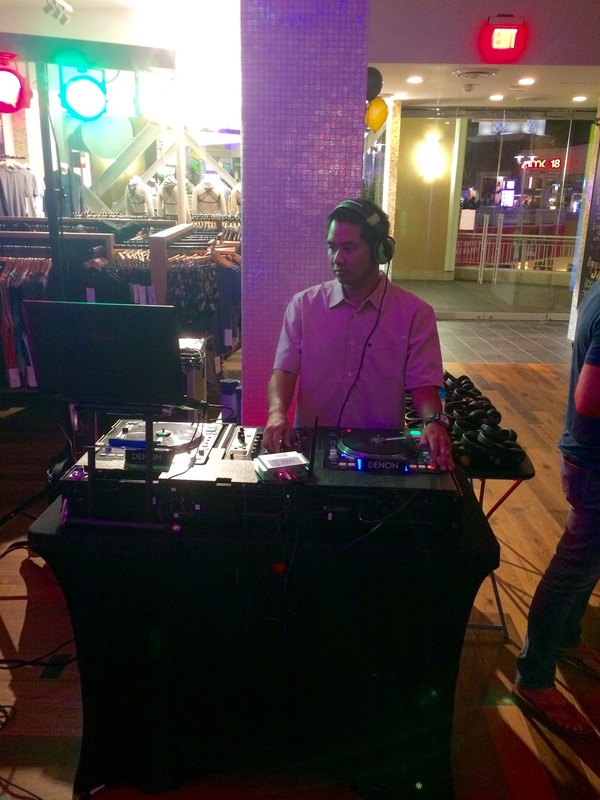 On a small scale, DJing events in local San Diego Lululemon stores, I got a glimpse into this culture. But that glimpse was magnified at this annual leadership conference. Like a sponge, I absorbed and experienced the culture I have heard so much about. And the experience was calming and introspective. I worked with 12inchskinz to have custom Serato control vinyl made exclusively for the Lululemon Leadership Conference. Lululemon is notorious for empowering their employees, allowing them to succeed on their own and not being overly critical of failure. Even as an event “vendor” I never thought I was following orders. In fact, because I was playing so many sets within the three days, to essentially the same crowd each time, I suggested theming each set by music genre. There was no hesitation to accept my recommendation. They trusted my expertise and went with it. I used to joke that Lululemon employees were always happy because they get to wear comfortable clothes all the time. And while there probably is some truth to that, I know these people are genuinely happy because they are goal-oriented. They are constantly moving forward. When I am around Lululemon employees I never have the sense that I am around people who are unsure what their next steps in life are. Literally, every employee is forced urged to write down their goals, as far out as 10 years. Those goals are posted on bulletin boards for the world to see and are inadvertently part of the conversations I have with them. It makes me realize I need to write my own goals and make them part of every conversation going forward. There is a strong sense of encouragement and honesty. 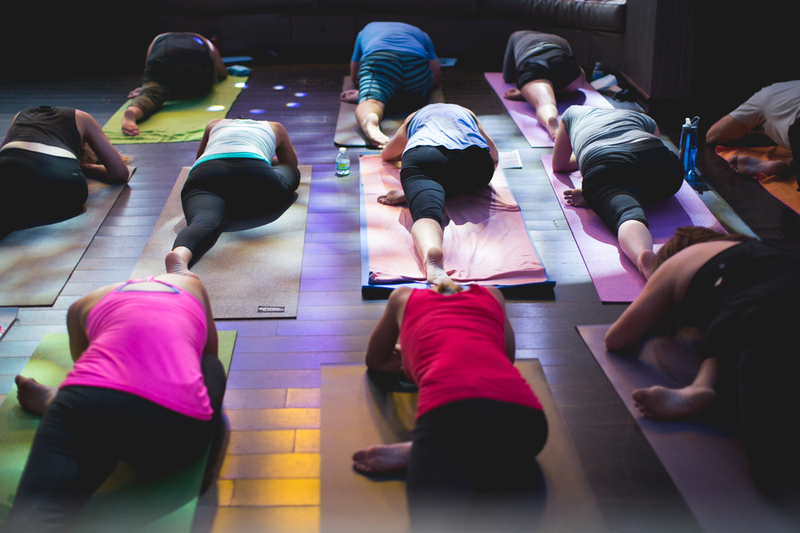 I quickly picked up on the fact that Lululemon is culture of “I” and not “we.” I noticed this when a brave soul stood up in a room full of conference attendees and was asked to share her thoughts. She had some incredible insight, but used the “we” word. She was asked to rephrase, using “I”. This goes against conventional thinking, we’ve all heard that “there is no ‘I’ in team.” But when you think about it, when we set personal goals and have a strong determination to meet them we attack those goals with ferocity. Therefore that type of work ethic makes us a better team member. Going into the Vancouver week I didn’t know what I was going to take away from the experience, I just knew it was going to be something good. But by the end of the week I came to this amazing realization. I was capable. I am a pro. And I am damn good at what I do. The trip to Vancouver was sandwiched between several other gigs, including a kick off event for the San Diego Asian Film Festival, a 30th birthday party at a private estate in Rancho Santa Fe, and on the day after I returned, a wedding at the Hotel Del Coronado. Playing such a diverse line-up of events and taking it all in stride made me realized I’m doing exactly what I should be doing right now. 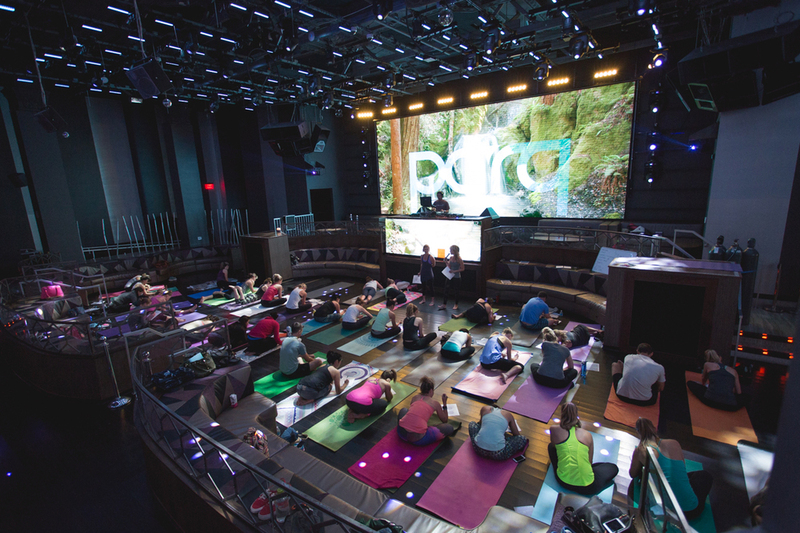 It doesn’t matter if the gig is a 30th party for 50 attendees, or Lululemon’s closing night party for 1,000 … the task is the same. Read the crowd, play music and make memories. And I did have equipment issues, but I kept my cool, notified the right people and managed the problem until a replacement was brought to me. This experience made me realize I really can DJ anywhere and for anyone. A 13-year old birthday party, I’m there; Kim Kardashian’s next wedding, mark me down; pre-concert dance tunes at Seawheeze 2016 (hint, hint), let’s do it! And I come to this realization solely because Lululemon, like they do for so many people, helped me realize what I am capable of. They took a chance on me, some random DJ from San Diego. But they knew I had goals and only because I vocalized them. And they realize that goals, not matter how big or audacious they are, are meant to come true. Tucker, a custom painted VW van was part of the lobby decor at the Westin Bayshore. He is from the original Lululemon store and was placed right next to my DJ booth. Esther was one of a handful of people that walked up to me and mentioned they had read my blog post last month. So cool to meet people who were moved by my humble words. November Project - San Diego kinda took YVR over ... San Diego co-leaders and Lululemon Ambassadors, Lauren Padula and Angelo Neroni, led a workout of more than 400 on Wednesday morning. November Project - San Diego co-leaders and Lululemon Ambassadors, Lauren Padula and Angelo Neroni led a workout of more than 400 on Wednesday morning. Live DJing a November Project workout at the Lululemon Leadership Conference. Meet Tucker. He was next to me all week long. Although he didn't dance. View from the DJ booth just before the closing night party kicked off.